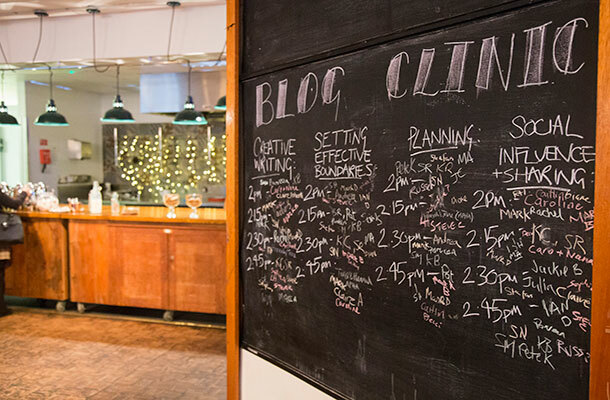 Last week we had the pleasure of attending the first ever government blog gathering, #GovBlogCamp. And, what better way to reflect on blog camp than to write a blog? It was a great day and what made it even more special was that we got to showcase this blog. GDS invited us to do a ‘show and tell’ type presentation. They think we’re good at blogging! The purpose of the day was to bring together all blog owners on GOV.UK to meet under the same roof and discuss many topics, ultimately with our readers at heart. Everyone in GOV.UK is encouraged to blog about what they’re doing and learning – including their mistakes. I couldn’t agree more and this is something I encourage within the IPO. But, I think we still have room to do more of this. Blogging can become part of everyone’s roles. It shows you’re engaged and take pride in your work. It also offers our customers the chance to get involved, start discussions and comment. What a great way of seeking feedback! 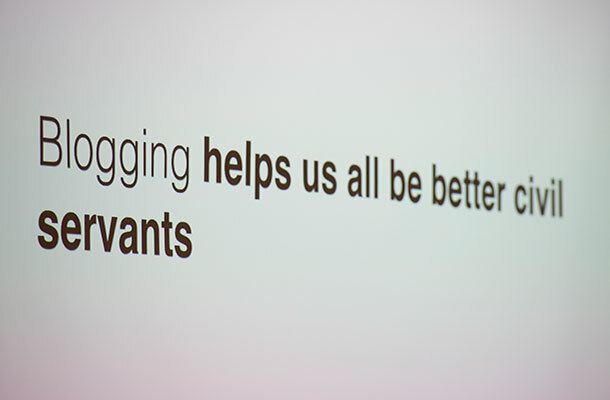 Several key speakers followed GDS, all sharing top tips for blogging. One speaker was a journalist from The Guardian, Stuart Heritage. Stuart’s controversial and clever start of ‘reasons why not to blog’ were swiftly outweighed with ‘reasons why to blog'. There are so many, including those I mention above. We were then invited to attend various clinics with blogging experts. The clinics allowed us to share our ideas and experiences in a relaxed environment. I love the IPO so much – their blogging strategy is a perfect example of how gov blogging can relate to popular culture. It was finally our turn to take centre stage...no pressure. I opened by saying how it was an honour to share our blogging experiences with the rest of government. Running this blog platform is a huge passion of mine, so for people to like it means so much. But that's with huge thanks to the authors. Without their contributions, we wouldn’t have a platform. We showcased many example blogs, including those written by IPO staff and external guest authors. There were so many good ones to choose from! We went on to talk about how we come up with ideas, plan content and of course, we mentioned our relationship with the BBC for our Dragons’ Den blog. Fantastic @The_IPO for designing an internal animation to help lower the barrier to blogging. This is how govt should be. All in all, the day had been a success and it seemed that we had created a good impression across wider government, not just GDS. All this is great, especially as we are a small organisation in comparison to others. But, what matters the most is what you think. So government bloggers think we are getting it right but do our readers? I’d love to hear your thoughts on our blogs. Please comment with any ideas and get involved. Which reminds me, as I’ve said above we welcome blogs from guest authors so please get in touch if you’re interested! I was writing a blog one day about how lightning works. I was having trouble coming up with an ending, and then it struck me. by way of blogging like this , all will be beautiful when we are together to hear each other and commented positively. Who or what is GDS? Great article - loved it - thanks! Blogging helps us to express our feeling on internet. It is the right way to explain your experiences your ideas to the people. This is great that the Gov are doing more to take advantage of this fantastic platform to engage and educate using blogs. As a subscriber to the blog and a blogger myself, I was encouraged that the Gov spend anytime investing in blogging, let alone a summit to discuss it further. Unsurprisingly, as much of the blogging community know, there will always be a journalist criticising change and innovation rather than embraces the potential of partnerships and shared skillsets. It would be great to get professional bloggers involved in something like this and those that I work with are at the top of the game. The people behind Blognix bring leaders together frequently to discuss important topics relating to blogging. Talks from those that have helped build the industry are invaluable to those trying to grow within it and make the most of what is quite assuredly the best way of story-telling in the modern day. No problem Phil and thanks for the feedback. Feel free to show people the video. It's on Youtube so easily accessible wherever you are.